Aerial photography is the most impressive photography to obtain of any home. Having angles that seem impossible to reach show the high value of the home. Instead of just taking any photo of the front of your house, time and money was spent on getting virtually cinematographic pictures of your home making it seem more suiting to a buyer’s dream home. With drone photography, it’s the next thing in the real estate market, so don’t fail to go above and beyond, because photography drones were recently legalized in the world of real estate photography as of early of 2015, making it cutting edge to buyers. 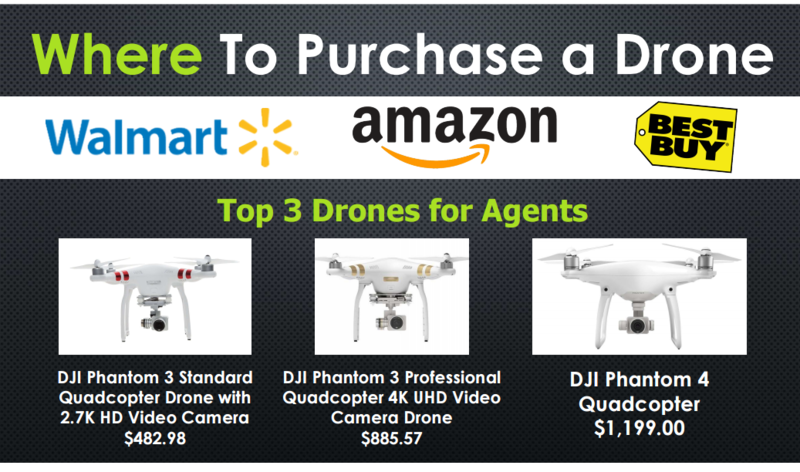 Many drones can be purchased for fairly inexpensive prices. It’s pretty close to just being the norm. Most real estate agents have drones and they’re utilizing them. They’re putting the photos on there on the MLS and it’s a huge selling point to a buyer. Everybody wants to know what is around their home before they purchase it, how close the neighbors are, how close a retention pond is, how close the beach is, and stuff like that, so it’s very, very important. This is one of the best ideas that you can start with. 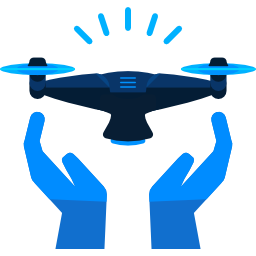 Not only will you have you’re drone fully figured out after you complete, it will also prep you for any safety concerns that might arise. Flying in a small area or even around people can always cause some type of a risk. Once you’re really comfortable flying in these types of spaces, it’ll just make your listing presentations and actual listings that much more appealing. This goes along with taking the class, but it’s still important to know your exact regulations when it comes to using a drone. You can find the regulations right here on the FAA’s website. Some of them are, you are only allowed to fly during the day and it must always be in your visible range. There are a few restricted zones that allow no flying at all time and there is a height and speed limit as well. An obvious step, but an important one regardless. Make sure the home is fully staged and looking as appealing as possible. There are a few things you can do for the outside of the house that will differ from regular staging. First, turn off all of the interior lights. Then water the driveway and the sidewalk so it stands out better. Make sure that all cars or vehicles are removed from your driveway and your car is nowhere near the the house. It may seem tough to shoot the interior of the home, but it holds a lot of value. Giving an aerial view and tour of the home’s features stands out compared to a handheld walkthrough at times. Stage the home with the same attention to detail that you usually would. Make sure all fans and air conditioning is turned off. Research the area beforehand. You need to know what aerial shots or landmarks to include. For example, if you want to show how close a house it to the beach or some water. Or if it’s near a popular area downtown. Ask your client if they want anything specific to be included, golf courses, parks or anything else. On the flip side, ask them if there’s anything that they want left out. They probably don’t want industrial structures or cell towers to be standing out. Choosing the proper time is massively important. You need the sun to light up the home, but not to an extreme level. It’s going to be different for different areas and landscapes. A beachfront property is going to need to be shot a different time than a property near a bunch of trees. You should want 10 seconds or so of smooth video at a time. Higher frame rates will allow you to slow shots down even more without losing the smoothness of the video. Plan out the best routes around what you want as well, to make sure to get best out of your battery. This is where you can make up any problems you had with color or distortion problems you may have. Using Final Cut Pro or Adobe Premiere Pro are going to be your most detailed programs to really improve your video. Transitions are important and so is background music or voice overs. If you don’t want to do drones and don’t feel comfortable flying a drone around somebody’s house or it’s not in your budget, you can do aerial photography without drones. This is a completely free way of doing this. You can do it with Google Maps and the Earth View. This way you can zoom in on people’s homes and you can show the homes that are around it. It’s a very, very cost effective, it’s completely free. It just takes a little bit of time and a little bit of editing.Grab a screenshot of your screen on your computer and edit it.